Don't get me wrong...Paul McCartney is one of my all time favorite musicians. But he's also one of the most frustrating artists I've ever listened to. He's had so many great songs, both with The Beatles and solo, yet he's only come close to a really great album out of his 22 plus solo recordings once. Band On The Run is that album. His fifth solo album was the one where he finally broke out. His songwriting was on almost like it was before his solo career, and he sings like he knows that this was going to be his best work. The title track, "Jet", "Helen Wheels", "Let Me Roll It" (which may be his best solo work), and the hugely underrated "Nineteen Hundred And Eighty Five" are all brilliant. "Picasso's Last Words" and "Mamunia" are not as strong, but never mind. This is as close to, on record (live is another story) as he got to really consistently putting it all together. Wings at this point was just McCartney, his wife Linda, and former Moody Blues guitarist Denny Laine, but McCartney doing most of the work is written all over it. 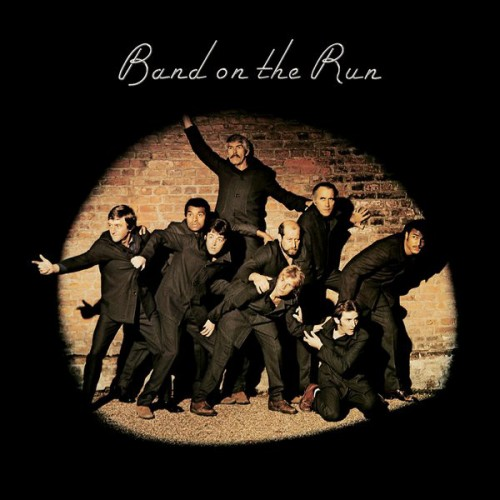 Band On The Run is a joyous album, McCartney at his studio best. Play it loud...it still sounds great. This is album #134 in an ongoing series. You just got a 1.59% upvote from SteemPlus!